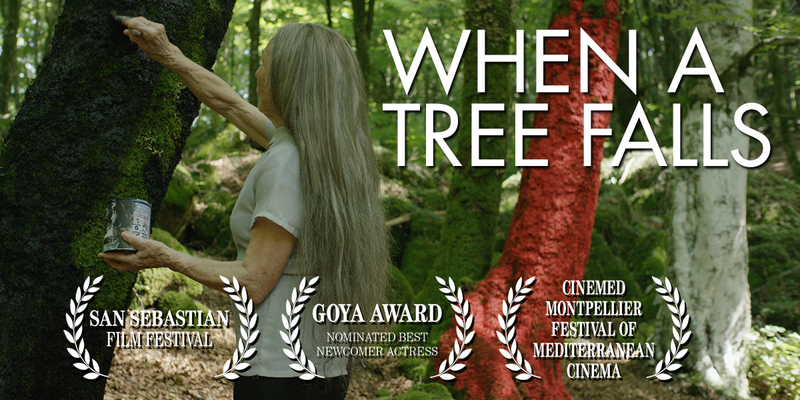 Along with this year’s Oscar submission LOREAK, this powerfully visualized drama of generational conflict signals the emergence of a vital Basque regional cinema in Spain. The crux of the film is a farm, spectacularly situated in the mountainous northeast, that has remained in the same family for countless generations. But, when the eldest son and heir apparent, like so many of the region’s young people, decamps to the city, the burden passes to his sister Amaia (Elias), an artist whose progressive ways place her at odds with her rigidly traditionalist father (Aranga). 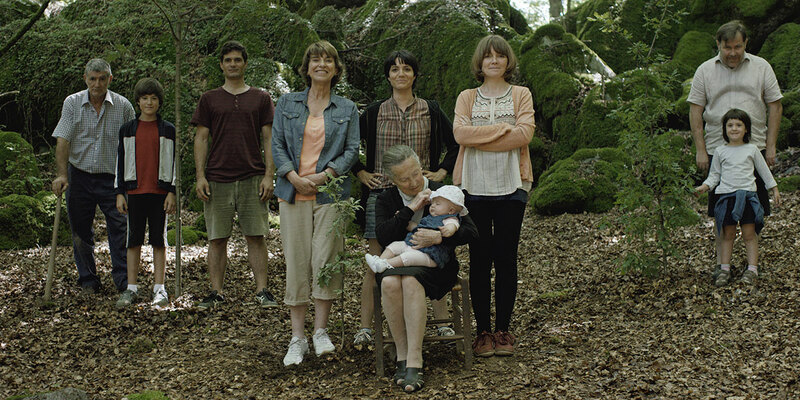 The film’s title, which means “Grandma” in Basque, refers to the family matriarch who will play a pivotal role in Amaia’s attempt to bridge the divide between tradition and evolution. Asier Altuna (Bergara, 1969) had already made his mark in short films, some of which landed awards at different events: Topeka (2004), Sarean (2006) and the ones co-directed with Telmo Esnal, Txotx (1997) and 40 ezetz (1999). His feature debut was the comedy, Aupa Etxebeste! (2005), also co-directed with Telmo Esnal, which competed in the Zabaltegi-New Directors section of San Sebastian Festival, winning the Youth Award. 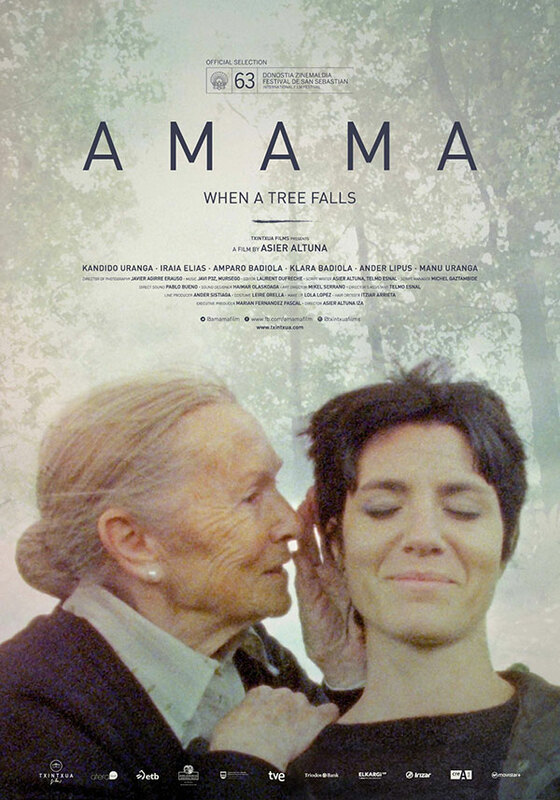 Amama is a character in the film, but more than a character she is a concept; she is the inherited knowledge passed on through generations, the wisdom that connects us with our forbears. Amama is a character of beauty and dignity, a symbolic character who doesn’t need to speak in order to communicate. The protagonist of the film is her granddaughter, Amaia, a strong young woman in a moment of change and rupture. Rupture with inherited traditions, and with her father. She faces the challenge of living in accordance with ancestral knowledge even while breaking her ties with the generation that immediately precedes her. The farm is under threat: a way of being andof understanding the world is disappearing. The different generations who live together in the same space speak different languages and see the world in radically different ways. 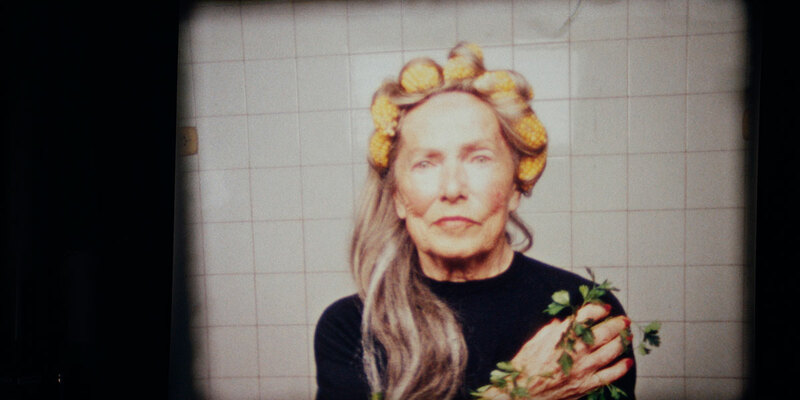 In this context Amaia feels that the 80 grandmothers who precede her – reaching back into the Neolithic – are a part of her; all of their knowledge gives her the strength and assurance to break free without severing the chain of inherited knowledge, so as to find her own path. It was important for me that the protagonist be a female character, and that the generational break in the film also create a male-female clash; two ways of seeing and being in the world are set against one another. This is why the heart of the film is the father-daughter confrontation between Tomás and Amaia, and throughout the narrative I have striven to explore a conflict between paradigms in which the most violent, physical acts – which bring the situation to a point of extreme tension and eventually rupture – are performed by the principal male character. At which point the feminine paradigm takes over and breaks through the deadlock; a reunion can only be achieved by a work of careful craftsmanship, an act that is physical but not aggressive. Only through this type of sensitivity is communication re-established, and only then is an embrace made possible. The film is set on a farm, in a rural environment, which is very familiar to me. I am a part of this world, of this chain. All I know about my predecessors is that they have always been connected to the farm. I am in some ways the farm and but also the change, rupture, and abandonment of the farm. I have lived what happens in the film to a certain extent, though the events in Amama are purely fiction. The reality of any situation is lived in a completely personal way; everyone’s experience is unique. I am very imaginative. I have always imagined the farm in a surrealistic way, and some of these situations have found their way into the film. I think that the images we remember from childhood tend to be exaggerated – both the idyllic and the terrifying – and these kinds of memories have been an essential source of inspiration for me. I feel a need to create a freer kind of cinema, improvisational and unburdened by narrative or effects; but on the other hand, as a viewer, I can’t stand to be bored by a film. So I have striven to make a well-structured film that captivates the audience from the beginning and carries their interest through to the end.